Comet ISON – what’s the big deal? What will it look like..? 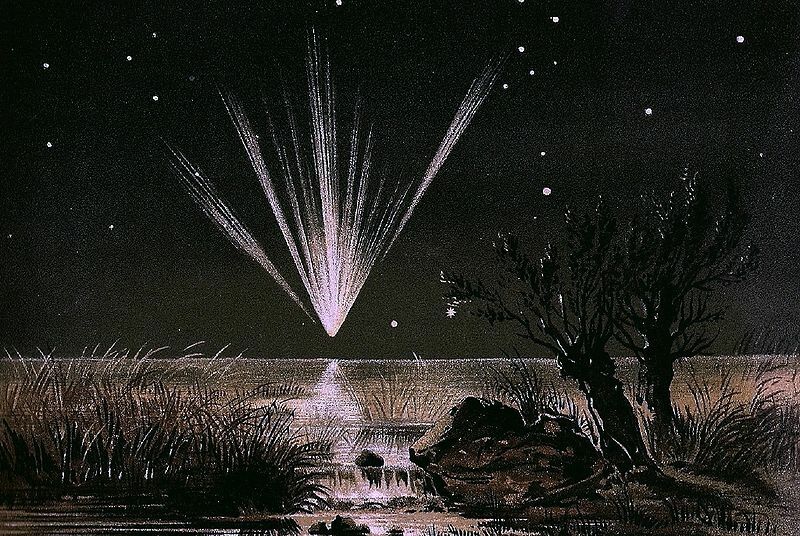 Comet ISON Fireballs Are Raining Down On Earth! Wow… I want to see something like that in my lifetime, don’t you? Imagine seeing something like that in the sky. What kind of a fuss would it cause today? People would go nuts, wouldn’t they? Incredible imagining seeing something like that, isn’t it? Well, that would be nice, but don’t hold your breath! One day, one day… In the meantime, I hope you found this brief trip back in time in the TARDIS fascinating and it’s not left you too impatient for a truly Great Comet to appear in our sky. The thing is, even if ISON isn’t destined to put on a show like these, that doesn’t matter; that comets like these have been seen in the past at all should fill us all with a sense of wonder, and should actually make us appreciate whatever show ISON puts on for us even more. Comets are common out there, in the great dark. 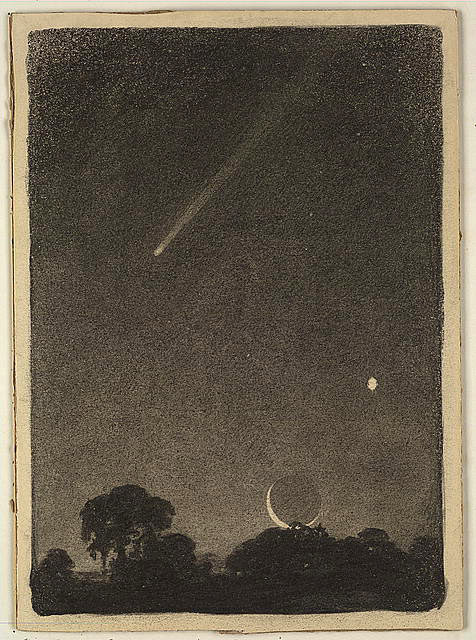 Right now, if it was dark where you live and you had a large telescope you could probably look at a dozen different comets, one after the other. They’d just look like tiny grey puffs of smoke in your eyepiece, but that’s all most comets ever get to look like to us. Just by reaching naked eye visibility Comet ISON will be special, and anything better than that will be a bonus, we have to think of it that way, and not as a Great Comet Lost. 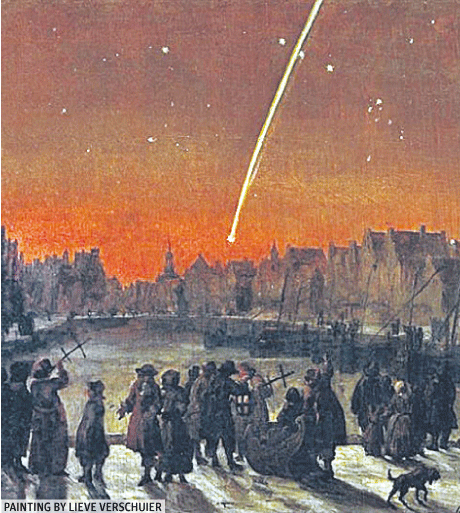 Even if Comet ISON doesn’t go down in history as a Great Comet, we can make it a great comet for the world, in this light-polluted, science-shunning age, by showing it to as many people as possible, and getting across to them just how incredible it is, and how priviliged they are, to be able to see an enormous chunk of filthy cosmic ice, billions of years old, glowing softly in the night sky as it races towards and then around a star, not to return again for a long, long time. Thank you for this! I love that you can appreciate what the sky can offer us to observe, even if it isn’t “Great.” I still remember the first time I saw every planet from Mercury to Neptune, the faint blue dot in my flimsy 2.5 inch spotting scope. Or the fuzzy phantom of the ring nebula, hardly visible with averted gazing. Observing an object in the sky for the first time always fills me with extreme humility and excitement. So ISON finally revealed itself to me under rarely clear skies this week as it was approaching Virgo. With my modest equipment, it was but a fluffy dot. I am full of appreciation as well that I witnessed it knowing that in a few months i will never see it again. 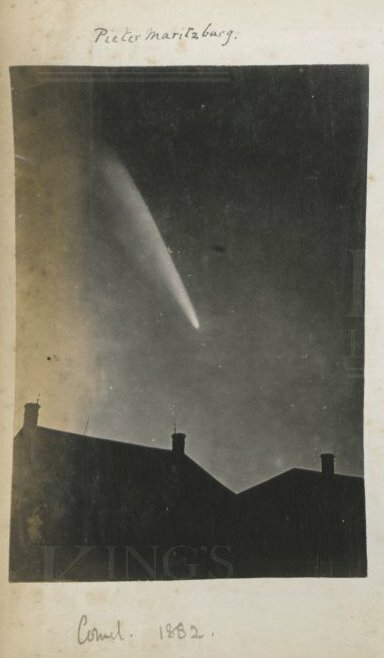 Great blog by the way, I’ve been reading since the early days of PANSTARRS. Your “The world is DOOMED!” post made me laugh so hard. It’s tough trying to find real information of comets these days, without the crazies co-opting everything. Here to hoping for the extra “bonuses” from ISON! Thanks David, appreciate that.Glad you saw ISON! Thank you for such a great article. Hope we have something incredible as this in our time as well.